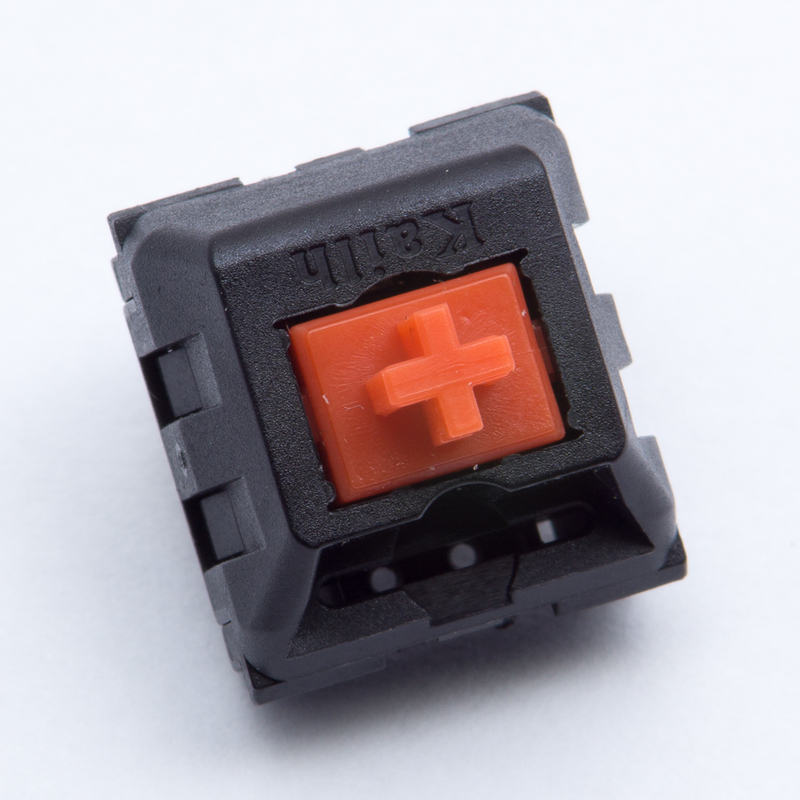 Linear Kaihua Red switches are slightly heavier than most red switches on the market. They activate around 50 grams, which is at least 5 grams heavier than Cherry MX Red. The difference may relate to spring selection or slider ramp design. Kaihua Red slider / contact rasp is louder than that of other tested red clones (and Cherry Reds). In addition, bottom outs may result in mild friction. The higher switch resistance and bottom out friction make the switch better for floating typists.